March 20, 2019; Belmopan, Belize. – The Caribbean Community Climate Change Centre (CCCCC) hosted a meeting on March 18, at its office in Belmopan, Belize; with the Cuban Ambassador to Belize, Her Excellency Mrs. Lissette Pérez; and representatives from the Government of Belize’s Ministry of Agriculture, Fisheries, Forestry, Sustainable Development, the Environment, Climate Change and Solid Waste Management Authority, to discuss the Coastal Erosion Assessment conducted by two Cuban Coastal Erosion Specialists. Dr. Lennox Gladden, Chief Climate Change Officer of the National Climate Change Office. On March 13 and 14, 2019, the specialists, Dr. José Luis Juanes and MSc. Miguel Izquierdo from Cuba’s Ministry of Science, Technology and Environment (CITMA) also visited the coastal town of Dangriga and Hopkins, a community within its environs to identify the various natural and human factors affecting coastal erosion there. Beach scarp, dead trees, exposed roots, waves reaching building foundations and some inefficiency coastal protection structures, demonstrate the extent of erosion in Dangriga-Hopkins. Locals estimate that the shoreline has receded by 20 to 25 feet in the last 5 years. In an effort to stabilize the coastline, the experts discussed possible measures and solutions. Dr. Juanes and Mr. Izquierdo recommended three areas of focus, namely: research, legal direction to define and regulate the coastal zone and the deployment of adequate engineering. Dr. Percival Cho, Chief Executive Officer noteded: “It is important to structure Belize’s regulatory framework to better govern the development of our beaches.”Her Excellency Mrs. Pérez expressed interest in the actions, best practices and sustainable adaptation initiatives that Belize could undertake to mitigate the damages. The meeting concluded on the promise of further collaboration between Cuba and Belize to address the issues of coastal erosion and vulnerability as well as other related areas. 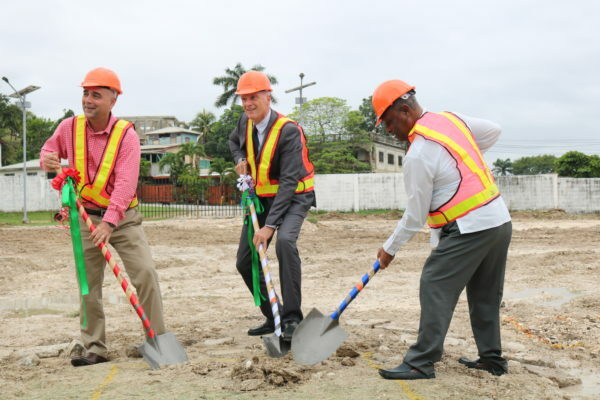 Belmopan, Belize; November 28, 2018 – The Caribbean Community Climate Change Centre (CCCCC), in collaboration with the Governments of Belize and Italy, held a ground breaking ceremony for the construction of a Community Multi-purpose Emergency Centre (CMEC) at the Victor Galvez Stadium, in San Ignacio, Belize on Wednesday, November 28, 2018. 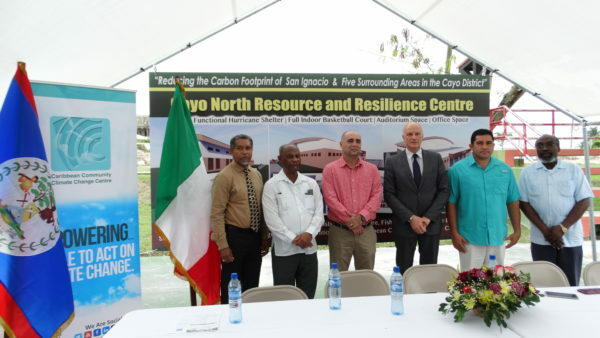 The project “Reducing the Carbon Footprint of San Ignacio and Five Surrounding Villages in the Cayo District” is being implemented as a collaborative effort by the Government of Belize and the CCCCC with financial support from the Government of Italy. Approximately 25,000 residents in San Ignacio and surrounding villages are expected to benefit directly from the project at completion. The project include replacing existing street lighting in San Ignacio with more efficient Light Emitting Diode (LED) lights and the building of a multi-purpose facility for use as a disaster shelter and a community centre. Reduce the vulnerability of rural communities to the impacts of extreme weather and other disaster generating events. “We are extremely grateful for this collaboration with the Government and People of Italy. Belize, like so many Small Island Developing States, is disproportionately affected by the devastating impacts of climate change. Today, with this collaborative project with the Italians and the 5Cs, our community moves one step closer to adapt to what can be these devastating consequences of climate change.” said Dr. Hon. Omar Figueroa, Minister of Agriculture, Fisheries, Forestry, Environment and Sustainable Development, for the Government of Belize. Replacement of streetlights is expected to reduce energy consumption within the project area from 150W to 60W, per lamp, a 60% reduction in energy use; reduce emissions by 184 metric tons of CO2 per year; and result in some US$40,000 savings, which can be used for the benefit of the communities. The Community Multi-purpose Emergency Centre (CMEC) will provide the residents of five rural communities and the town of San Ignacio with a central self-contained Centre that can be used both as a shelter in the event of a weather-related and other emergencies, and for other community social and sporting purposes and events. The five rural communities to be served by the Centre are Trenchtown, Kontiki, Boiton Area, Mosquitoville and Shawville. The completed Community Centre will be equipped with an independently powered hybrid grid-connected PV renewable energy system, a rainwater storage system; an emergency communication system to ensure its continued operation during a major weather or other disaster event. Construction of the CMEC commenced November 22, 2018 and is expected to be completed by May 31, 2019 at an estimated cost of BZ$1.6 million. 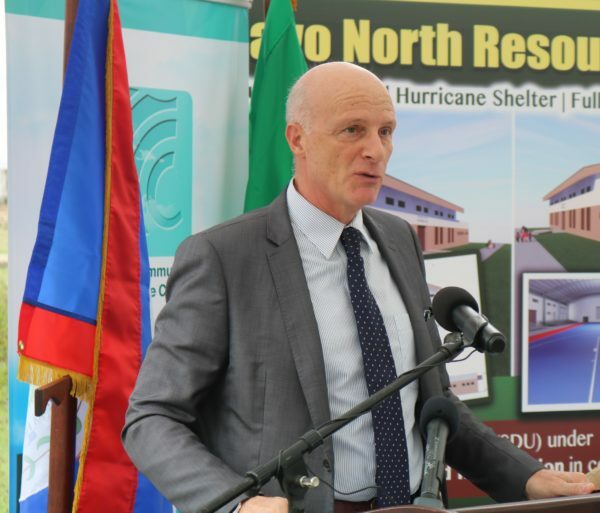 Funding is being provided by the Government of Italy and the Government of Belize. The Caribbean Community Climate Change Centre coordinates the region’s response to climate change. Officially opened in August 2005, the Centre is the key node for information on climate change issues and the region’s response to managing and adapting to climate change. We maintain the Caribbean’s most extensive repository of information and data on climate change specific to the region, which in part enables us to provide climate change-related policy advice and guidelines to CARICOM member states through the CARICOM Secretariat. In this role, the Centre is recognised by the United Nations Framework Convention on Climate Change, the United Nations Environment Programme, and other international agencies as the focal point for climate change issues in the Caribbean. The Centre is also a United Nations Institute for Training and Research recognised Centre of Excellence, one of an elite few. Learn more about how we’re working to make the Caribbean more climate resilient by perusing The Implementation Plan. Belize will strengthen the climate resilience of its energy sector as a result of a US$8 million grant from the Global Environment Facility (GEF) approved today by the World Bank Board of Directors. “A major concern we often grapple with is extreme weather,” said Frank Mena, Belize’s Minister of State for Finance, Public Service, Energy & Public Utilities. “The impact of such events often leads to major set-backs to our development progress,” he added. Belize is often in the direct path of tropical storms and hurricanes, which are expected to intensify due to climate change. This has caused many human casualties and widespread damages, resulting in costly disruptions of vital public services. The impact of Hurricane Dean in 2007 resulted in US$80-100 million in damages, equivalent to 6-8 percent of GDP, and a near countrywide power blackout. Likewise, Hurricane Earl left another wave of disruptions last month. “Building climate resilience is a key priority for Belize. This project aims to support the government’s continued efforts to make energy and power systems better prepared and more resilient to storms, hurricanes and natural hazards,” said Sophie Sirtaine, World Bank Country Director for the Caribbean. Revitalized communication network of the power company, ensuring better command and control coordination during response and recovery operations. This four year project is financed by a US$8 million grant from the Global Environment Facility’s Special Climate Change Fund (SCCF) and US$3.9 million counterpart financing from the Government of Belize and the Belize Electricity Limited (BEL) company. 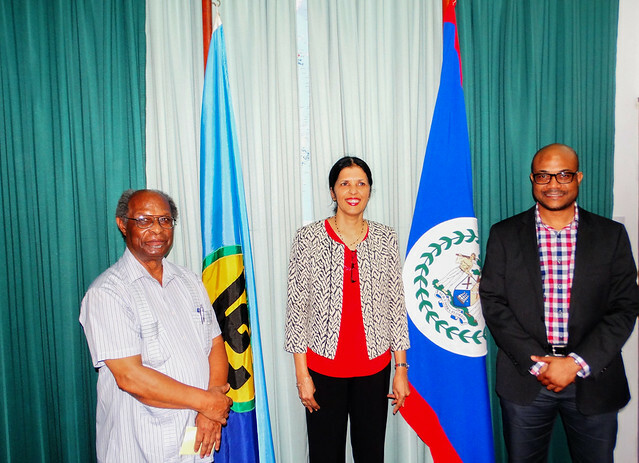 Ambassador Manorma P. Soeknandan, PhD., Deputy Secretary General of the Caribbean Community (CARICOM), is in Belize for a three day working visit. Ambassador Soeknandan is meeting with officials of the Government of Belize, as well as representatives of the various CARICOM institutions headquartered in Belize. On Tuesday May 24th, 2016, Dr. Soeknandan accompanied by Craig Beresford, Director of Strategic Management at the CARICOM Secretariat, visited the Caribbean Community Climate Change Centre (CCCCC) which is headquartered in Belmopan, the Capital of Belize. She met with the staff and the Executive Director, Dr. Kenrick Leslie. Dr. Leslie outlined the progression of the institution to a Centre of Excellence and as the first regional entity, accredited to the Green Climate Fund which will invest in low-emission and climate-resilient development projects in the Caribbean. Soeknandan spoke about the importance of collaboration and a partnership was further strengthened as the CCCCC agreed to share its human resources in regards to highlighting best financial and procurement practices which serve to help adaptation and mitigation projects in the region. Home to the second longest barrier reef in the world and the largest in the Western Hemisphere, which provides jobs in fishing, tourism and other industries which feed the lifeblood of the economy, Belize has long been acutely aware of the need to protect its marine resources from both human and natural activities. However, there has been a recent decline in the production and export of marine products including conch, lobster, and fish, even as tourism figures continue to increase. The decline is not helped by overfishing and the harvest of immature conch and lobster outside of the standard fishing season. But the primary reason for less conch and lobster in Belize’s waters, according to local experts, is excess ocean acidity which is making it difficult for popular crustacean species such as conch and lobster, which depend on their hard, spiny shells to survive, to grow and mature. According to the executive director of the Caribbean Community Climate Change Center (CCCCC), Dr. Kenrick Leslie, acidification is as important and as detrimental to the sustainability of the Barrier Reef and the ocean generally as warming of the atmosphere and other factors generally associated with climate change. Carbon dioxide which is emitted in the atmosphere from greenhouse gases is absorbed into the ocean as carbonic acid, which interacts with the calcium present in the shells of conch and lobster to form calcium carbonate, dissolving those shells and reducing their numbers. Belize also faces continuous difficulties with coral bleaching, which has attacked several key sections of the reef in recent years. Dr. Leslie told IPS that activities on Belize’s terrestrial land mass are also contributing to the problems under Belize’s waters. 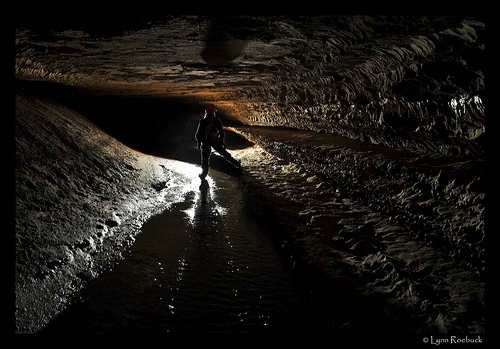 “What happens on the land will eventually reach the sea, via our rivers,” he noted. To fight these new problems, there is need for more research and accurate, up to the minute data. 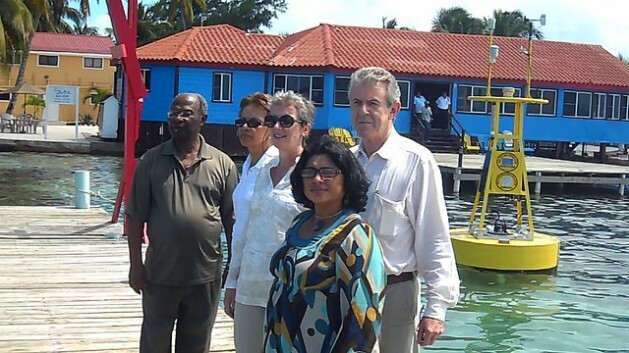 Last month, the European Union (EU), as part of its Global Climate Change Alliance Caribbean Support Project handed over to the government of Belize and specifically the Ministry of Forestry, Fisheries and Sustainable Development for its continued usage a Coral Reef Early Warning System (CREWS) buoy based at South Water Caye off the Stann Creek District in southern Belize. Developed by the U.S. National Oceanic and Atmospheric Administration (NOAA), it has been adopted by the CCCCC as a centrepiece of the effort to obtain reliable data as a basis for strategies for fighting climate change. Dr. Leslie says the CREWS system represents a leap forward in research technology on climate change. The humble buoy hosts several instruments designed to measure conditions above and below the water, and keep track of these developing threats. The data collected on atmospheric and oceanic conditions such as oceanic turbidity, levels of carbon dioxide and other harmful elements and others are monitored from the Centre’s office in Belmopan and the data sent along to international scientists who can more concretely analyse it. The South Water Caye CREWS station is one of two in Belize; the other is located at the University of Belize’s Environmental Research Institute (ERI) on Calabash Caye in the Turneffe Atoll range. Other stations are located in Jamaica, Barbados, Trinidad and Tobago, and the Dominican Republic, with more planned in other key areas. 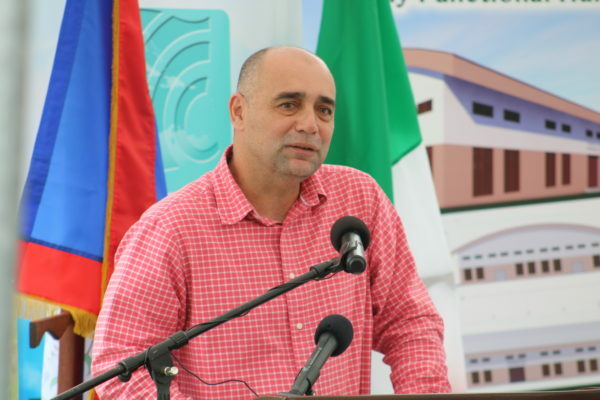 According to the CEO of the Coastal Zone Management Authority and Institute (CZMAI), Vincent Gillet, this is an example of the kind of work that needs to be done to keep the coastal zone healthy and safeguard resources for Belize’s future generations. A report released at the start of Coastal Awareness Week in Belize City urges greater awareness of the effects of climate change and the participation of the local managers of the coastal zone in a policy to combat those effects. Several recommendations were made, including empowering the Authority with more legislative heft, revising the land distribution policy and bringing more people into the discussion. The report was the work of over 30 local and international scientists who contributed to and prepared it. In receiving the CREWS equipment, the Ministry’s CEO, Dr. Adele Catzim-Sanchez, sought to remind that the problem of climate change is real and unless it is addressed, Belizeans may be contributing to their own demise. The European Union’s Ambassador to Belize, Paola Amadei, reported that the Union may soon be able to offer even more help with the planned negotiations in Paris, France, in 2015 for a global initiative on climate change, with emphasis on smaller states. Belize already benefits from separate but concurrent projects, the latter of which aims to give Belize a sustainable development plan and specific strategy to address climate change. In addition, Dr. Leslie is pushing for even more monitoring equipment, including current metres to study the effect of terrestrial activity such as mining and construction material gathering as well as deforestation on the sea, where the residue of such activities inevitably ends up. Belmopan, Belize July 26, 2014― The Board of Governors of the Caribbean Community Climate Change Centre concluded its annual meeting (July 24 -26) in Belize City today. Among the key decisions taken, the Centre has been charged to deepen a range of partnerships, including the expansion of its collaboration with the Caribbean Public Health Agency (CARPHA, which includes the former CEHI ), the Caribbean Development Bank (CDB) and other agencies. The Board also approved plans for institutional strengthening, including pursuing a not-for-profit status to enable greater resource mobilization to address climate variability and change; entering bilateral discussions for the establishment of a new multi-purpose facility, strengthening coordination among regional negotiators and revising the management mechanism for an independent Trust Fund. Following a special presentation to the Board of Governors by Dr. C.J Hospedales, CARPHA’s Executive Director, the Centre committed to deepen collaboration with the region’s premier health agency. The two entities are expected to collaborate immediately after the Board of Governors Meeting to develop joint proposals aimed at reducing the region’s vulnerability and building resilience to the likely effects of climate change. Further, the Board noted that the Centre has been working with CARPHA to broaden the regional focus on climate change and health, as a vital element of the Caribbean’s sustainable development thrust. The Board notes that Public-Private Partnerships (PPP) are essential to advance the Centre’s multi-pronged approach to building climate resilience in the region. Citing the success of the Centre’s PPP oriented pilot projects, including the installation of reverse osmosis desalination facilities in Bequia, Petit Martinique and Cariacou to improve access to potable water, which is being replicated across the region and resulting in increased demand for the Centre’s services, Chairman of the Board, Dr. Leonard Nurse says the Centre will pursue a similar approach for the continued rollout of the Caribbean Climate Online Risk and Adaptation Tool (CCORAL). CCORAL, which was launched by the Centre in July 2013, is an online support tool developed to support climate resilient decision-making processes across sectors in the Caribbean by embedding a risk ethic, has been endorsed by regional and international partners – including the Chairman of the Intergovernmental Panel on Climate Change (IPCC) Dr. Rajendra Kumar Pachauri. The Centre will therefore work with the CDB, its longstanding partner and a permanent member of the 11 member Board of Governors, to mobilise private sector support for the tool. The Centre has expanded rapidly since it commenced operations in 2005, having developed the capacity to successfully execute a suite of regional climate change related programmes worth between US$40 and US$50 million over the last five years. Accordingly, the Centre will implement a €12.8 million project later this year to address ecosystems-based adaptation under an agreement with the German Development Bank (KfW). The KfW supported engagement seeks to protect the region’s extensive coastal resources through a combination of ecosystems-based adaptation and environmental engineering approaches that will also embed livelihood considerations as a core element of the programme. The comprehensive investment under the initiative developed by the Centre, in conjunction with the KfW, will focus on enhancing the resilience of the region’s coastal resources to the impacts of climate change and climate variability. Accordingly, the Centre has applied to be a regional implementing entity for the Adaptation Fund, and is strengthening its capacity by establishing a Monitoring and Evaluation Unit to better prepare it to function as an implementing agency with the requisite technical capacity to institute projects on par with international organizations operating in the region. The new Unit will also advance the Centre’s capacity to advise and help governments develop, monitor and evaluate programmes in accordance with its mandate as the region’s key node of information and action on climate change. Following decisions taken at last year’s Board of Governors meeting, the Board has strengthened its fiduciary oversight through a Finance and Audit Sub-Committee of the Board of Governors, an internal auditor for the Centre and increased focus on data and plant security. Dr. Nurse says these changes are necessary given the Centre’s shift from a project-based orientation to more programmatic activities in a bid to ensure its long-term sustainability . He notes that the Centre, which is primarily funded through grants and not government subventions, is advancing efforts to set up a Trust Fund. The Fund, which has been seeded with US$1M from the Republic of Trinidad and Tobago, will be an independent arrangement administrated by the CDB that would allow the Centre to co-finance projects and fund project priorities over the long-term. To meet the emerging challenges and demonstrate its commitment towards a low carbon development pathway, the Board also approved plans to pursue the construction of its own facilities to carry out is operations. The Centre is currently housed in rented facilities provided by the Government of Belize. The Government of Belize has already allocated 10 acres of land to the Centre, on which a custom-designed, ‘green’ facility will be constructed. The Centre is in the process of seeking financing to undertake this initiative. The Government of Belize, through the Ministry of Forestry, Fisheries and Sustainable Development, is accepting Project Idea Notes (PINs) focused on energy efficiency and conservation, solid and liquid bio-fuels and biogas, wind and solar energy and the transport sector until 4pm on Friday, August 23, 2013. The PINs are a requirement for Belize’s participation in the Clean Development Mechanism capacity building programme, and will be submitted as part of the project approval process as set out in the fourth and fifth schedule of the Environmental Protection (Clean Development Mechanism) Regulations, 2011. The CDM programme is being implemented in collaboration with the European Commission and United Nations Environment Programme, through the UNEP RISO Centre—a leading international research and advisory institution on energy, climate and sustainable development. The request for expressions of interest is aimed at national and/or regional project developers and consultants with technical and other capacities in the identification, design and implementation of projects—preferably in the environmental field. The project seeks to strengthen the technical capacity of national consultants in the design of Project Idea Notes (PIN). Read the Ministry’s ad here and peruse the official Request For Proposal here.